Do you ever feel like you are constantly putting a “square peg” in a “round hole”? It’s like you don’t have the perfect solution to solve real problems for your clients, or you’re commodity based products such as Medicare Supplements and Final Expense pricing is likely to get beat by another agent at their kitchen table? Been there, done that. It’s like you’re handcuffed on a treadmill in prison. So here’s the deal. We are NOT a recruiting rich firm looking for warm bodies to fill desks or cubicles. We are however, partnered with one of the fastest growing FMO/IMO’s in the industry with “Best in Class” products representing over 150 carriers in the marketplace. As a result of this we have more workload than our current capacity can handle. I’m looking to fill a few select partner spots within our organization. If you are looking for a “brokerage” deal you are at the wrong bus stop. If you like working for “The Man” again, wrong bus stop. If you possess a successful mindset and work ethic with a proven track record you will want to read on. 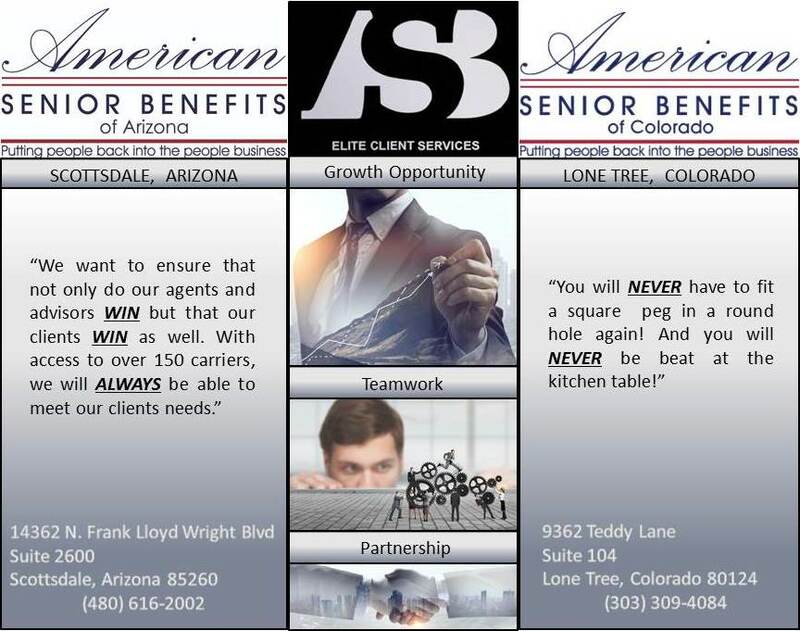 I am looking for the following Partner candidates for 2 locations: Scottsdale, Arizona and Denver, Colorado. These positions in our rare opportunity won’t last long. If you have a true entrepreneural spirit and want to own the work you do, then do yourself a favor and slide into my DM’s. Below shows what every representative in financial services hopes for in career opportunity benefits + the realities of what actually occurs… They may shock you.